This is the second in a series of articles which provide both theoretical support as well as practical application for the concept of Significant Conversations: Evangelism that resonates with our Canadian context. In the first article, Talking about The Gospel in a Pluralist society, it was proposed that dialogue is a superior method of evangelism for our Canadian context as compared to proclamation. This article argues that dialogue is an appropriate contextualization of evangelism that fits with our cultural setting. Mark provides Significant Conversations coaching to FEB churches with the goal of developing local church based support networks that encourage, equip and empower people to converse in contextually sensitive ways about the values and beliefs that shape our lives. However, within a couple of months, they informed me that their congregation was not ready for this shift. They first needed to have significant conversations among themselves before they would be ready to speak about spiritual things to those outside the church. This unwillingness – even embarrassment – to talk about spiritual issues is common in Canada, but it is a cultural, not a universal phenomenon. In Pakistan, where we served among the Sindhi people for a number of years, conversations about religion are common and natural. I would bring Sindhi booklets with me while traveling on the bus. As I sat and read them, curious onlookers would ask me about the booklets and I would respond by explaining that they were about Jesus and the Bible. Inevitably, people would ask for copies and some of them would come to visit me so that we could talk more about spiritual things. There are many reasons for the reluctance to talk about religion and spiritual matters in Canada: (1) Faith and belief are considered a private matter, and there is a sense of impropriety that cautions us against probing into someone else’s personal spiritual space. (2) While some people thrive on controversy, the rest of us would rather not face the discomfort of a disagreement. (3) Tolerance is one of our values, and it is easier to be tolerant when we do not discuss our differences. In fact, disagreements are often considered in bad taste and evidence of a lack of tolerance. (4) Furthermore, for those who “live with fear of the world, they are convinced that rather than being an influence, they will be influenced.”2 It is disconcerting to have our security undermined by ideas that challenge our assumptions. It is also curious that in our society, there seems to be less tolerance for Christian ideas than for other belief systems. There are a couple of reasons for this. First, Christianity is considered the dominant belief that has enjoyed a privileged position over the years. A backlash to a perceived unfair advantage is not unexpected in such an environment. But there is also a secondary issue with respect to the nature of Christianity as an exclusive religion within a context of openness and relativity. “By its very nature, a pluralistic society is open to new influences. As soon as a society endorses a ‘multiplicity’ of options rather than pouring life into a ‘one way’ mold, an open system is created. In contrast to a closed system that resists the introduction of anything new, an open system welcomes what has not yet been discovered or experienced.”3 Posterski’s insight is very important. A key reason why Christianity is quickly rejected as an option in some quarters is because it is perceived as a closed system that resists new thoughts. In order for a belief to be welcomed in a pluralistic setting, it must be presented within a context of options, rather than as a faith that can only be entertained by rejecting all others. Is it possible to talk about the exclusive claims of Christ within an open system? The answer is “yes,” if Jesus is presented as one option among many, one who is worthy to be explored. This approach need not compromise the requirement for eventual commitment and dedication to Christ, but to gain a hearing there must be openness to entertain other faith systems on a level playing field. The vision of Significant Conversations is to reshape our cultural context from one in which religious topics are private and considered inappropriate in day-to-day conversation, to a environment in which diverse ideas are expressed in a spirit of acceptance and courtesy. Dialogue acknowledges the reality that many opposing beliefs are at play in our Canadian context, and it conforms to the prevailing opinion that no belief should receive preferential treatment. Rather than declaring up front that our belief is the only one that is legitimate and true because it is from God, a dialogical approach treats all beliefs systems with respect and listens to them; this allows our belief to be granted similar treatment. “When we impose maps on people and prescribe how they should believe, we step across the line. Rather than offering clarity, we convey superiority.”4 Proclamation says, “This is true, you must conform to this.” Dialogue says, “In my opinion, this is true. Let’s compare it with what you believe.” Proclamation focuses on the exclusivity of the Christian faith, whereas dialogue allows for the discussion of our faith in the broader context of a plurality of beliefs. Is Dialogue “selling out” to cultural pressures? But is this approach legitimate, or are we selling out to cultural pressures? By choosing the route of Significant Conversations because it is more comfortable and natural for us in our pluralist society, does this mean we are neglecting our call to proclaim the gospel? 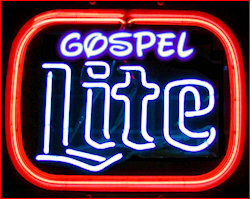 Are we in danger of “watering down the gospel” by presenting it as only one of many beliefs? Apart from the important clarification that this approach does not claim to replace proclamation, there are a number of reasons why dialogue represents an appropriate contextualization of evangelism that fits with our cultural “language” and mood, rather than an inappropriate capitulation to societal pressures. Dialogue is a missional approach to evangelism. In missions, the missionary enters a context in which the gospel is considered foreign. No priority is granted for the message of Jesus; a hearing for the gospel must be won. Furthermore, the message itself must be shaped (contextualized) in a manner that is relevant for the recipient people group. This requires an attitude of engagement and interaction with the people through which the missionary listens and comes to value how these people make sense of their world. Only when the context is appreciated and respected can the gospel message be presented in a way that resonates with the culture. Similarly, in Significant Conversations the goal is to present the gospel as one of several competing beliefs, but in an atmosphere of tolerance and respect. As participants engage the gospel and contrast it with other beliefs, the hope and expectation, as was experienced in E. Stanley Jones’ round table discussions,9 is that Jesus will shine. Rather than opposing “the principles that govern a pluralistist [sic] society: acceptance of diversity . . . , appreciation of options. . . , and interaction with alternatives,”10 a contextualized approach embraces these parameters and works within them to provide an approach that resonates. In our Canadian context, the task of determining the true faith among all the available options through the use of logic is impossible. If the gospel is proclaimed in an objective propositional manner, the implication is that it can be verified against a normative standard through a rational and logical process. The response in our Canadian context is to challenge absolute declarations and to question normative standards. When this happens, the task shifts from proclamation to an attempt to verify absolute claims and to defend norms. This very quickly becomes unwieldy. 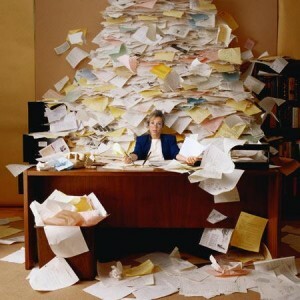 Not only is the information that needs to be evaluated too vast to process (think of trying to sort out the internet! ), but the assumptions that determine which facts should take priority cannot be proven by a logical process. Unless both parties are committed to a long academic and potentially tedious process of collecting the facts and challenging assumptions, the discussion is usually unhelpful, resulting in stalemate and frustration. Because the presenter of the gospel is required to be an expert in providing objective proofs in this model, it is one reason why many Christians shy away from sharing their faith. On the other hand, dialogue conforms to the prevailing cultural mood of judging the validity of a belief by its fruit: if it works for you, it is true for you. It narrows the context of discussion to the subjective experience of the dialogue partners, rather than appealing to an objective absolute. To declare one way right and the other wrong invites contradiction and argumentation. However, expressions of beliefs that relate to personal experience invite comparison and contrast rather than competition. It is less threatening for the presenter because they only need to know why they believe and bear witness to what they have found; proofs for an objective truth to satisfy a critical listener are not required. Scripture provides support for this subjective view: “Always be prepared to give an answer to everyone who asks you to give the reason for the hope that you have. But do this with gentleness and respect, keeping a clear conscience, so that those who speak maliciously against your good behavior in Christ may be ashamed of their slander” (1 Peter 3:15,16). In our society we treasure free speech and thus protection for the expression of personal beliefs is a high value. Because of this, contradicting is seen as arrogant and offensive, while differing is not. This fits with our position as followers of Christ, because he calls us to be witnesses (Acts 1:8), not lawyers. Through dialogue we create a safe environment in which all participants are comfortable to share their ideas. As witnesses we do not convict people of the truth of the gospel, that is left to the Holy Spirit. Instead, we listen to the views of others, express our own thoughts, and then compare and contrast the ideas so that people understand the distinction and the uniqueness of Christ’s message. While counter-intuitive, the reality is that the less firmly we express our opinions, the better they are received.11 Why is this? It is because within our Canadian context, we abhor arrogance and we are taught from an early age to resist and find weaknesses in arguments. Challenge is met with opposition. However, if we do not put people into a situation where they feel threatened, and instead provide our perspective as a personal view (“this is what I believe”), then people will be more willing to try it on for size. We need to ask ourselves “what do we really want?” If we want to win and be proved right and others proved wrong, then a powerful proclamation may be called for. However, if the goal is to see people come to Christ, then it should be recognized that in our cultural setting the way of dialogue will often result in a greater willingness to explore the gospel message. At the very least, it provides a means by which the discussion of spiritual issues can be brought into the public forum in a way that frees Christians to express their beliefs without needing a philosophical or theological education to prove the truth of the gospel. There is a common parable about a contest between the sun and the wind. The wind challenged the sun to see who could remove the hat off of a man’s head. No matter how hard the wind blew, the man clutched his hat tightly and kept it on his head. When the sun had his turn, he warmed the man to the extent that the man willingly removed the hat of his own volition. Dialogue does not view evangelism as competition or challenge, but as an opportunity to create space so that people can exchange their views in a non-threatening environment. In the next article, we will explore some of the skills needed for successful dialogue. Mark spends part of his time coaching churches in Significant Conversations. If you are interested in this method of evangelism, please contact him via the Contact Me form. If you would like to leave a comment, please use the “comment” link at the bottom of this article. 2 Posterski, D 1989. Reinventing Evangelism: New Strategies for Presenting Christ in Today’s World. IVP, 78. Posterski is specifically referring to Christians in this quote, but it is also relevant for those of other faiths. 4 Posterski D 1995. True to you: Living our faith in our Multi-minded World, Winfield: Wood Lake Books Inc, 182. 9 A good evaluation of Jones’ approach is found in “Witness in the Midst of Religious Plurality: The Model of E. Stanley Jones” by Mary Lou Codman-Wilson in Confident Witness – Changing World: Rediscovering the Gospel in North America, Editor Craig Van Gelder. Grand Rapids: Eerdmans, 1999. 11 Patterson, K Grenny, J McMillan, R and Switzler A 2002. Crucial Conversations: Tools for Talking When Stakes Are High. New York: McGraw-Hill, 132. This entry was posted in Evangelism and tagged Contextualization, Dialogue, Evangelism, Pluralism. Bookmark the permalink.